Wideband RF amplifiers require external coupling capacitors and an RF choke to supply bias to the output transistor collector. 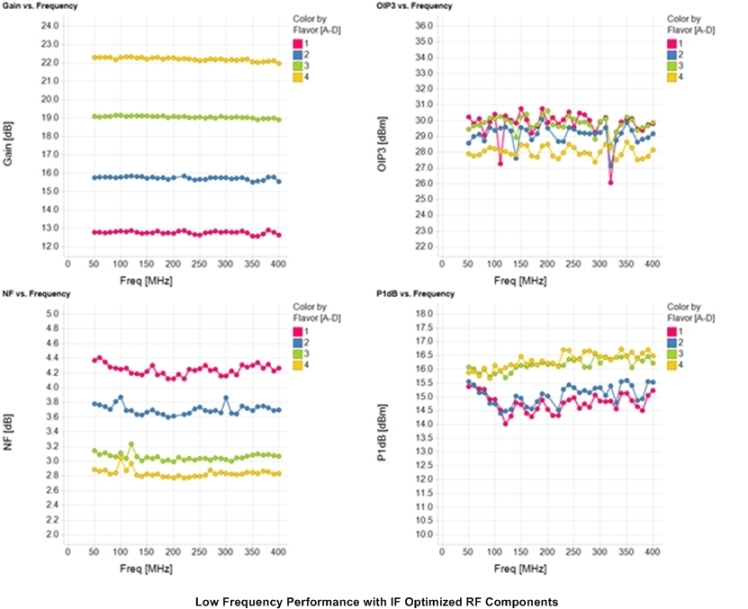 As the frequency of operation is reduced, the choice of these components must be modified to maintain proper gain and linearity in the device. 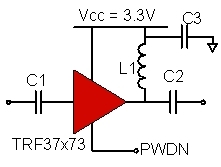 This design provides the circuit modification recommendations for operating a wideband RF amplifier device like the TRF37x73 in the low frequency range. A full complement of testing over temperature and voltage is provided for very low frequencies (1 MHz - 50 MHz) and intermediate frequencies (20 MHz - 400 MHz) to illustrate the effectiveness of the design. 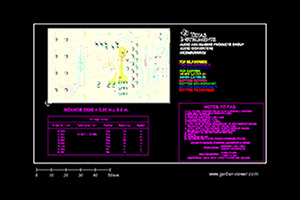 Supports circuit modification recommendation for operation down to 1 MHz. Supports optimized circuit modification for intermediate frequency operation of 20 MHz to 400 MHz. Performance data of Gain, OIP3, NF, and P1dB are provided over temperature and voltage.